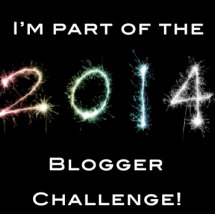 The 3rd topic for the 2014 Blogger Challenge is to review a book. I’m excited to say that I’m going to be doing this post a little differently than a normal book review. For the next 5 days I’m going to post a video as it pertains to the book I read. The book I am blogging about is Not a Fan by Kyle Idleman. Please keep in mind that I read this book a couple of months ago…these are the thoughts I remember getting when I read the book. I reread it for this project and it was just as impacting. Everyday for the next 4 days I will be discussing sections of the book. I will start out with the video and end with my thoughts. Please feel free to get a copy of the book and follow along with me! :). 1. I have always been afraid to DTR – I realized this right when I started the book. I had always LIKED Jesus but I liked him without the commitment of living for Him…not good. In other words, I had a convenient relationship with Jesus. I only talked to him when it was convenient for me. 2. I was part of the, “I have a Jesus fish on the back of my car group.” – I don’t know why this one was hard to swallow for me…but it was. It kind of gave me an idea of how the people around me see me. I had the worship song ringtone, I said grace, I knew important scriptures…but was I really protecting my testimony the way I should have been? No. 3. I was not ok with letting my life get turned upside down – I was scared to really trust God with my life. 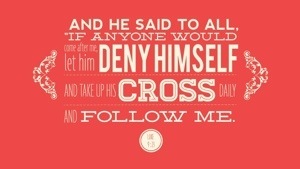 I was scared about what my non Christian friends would think and scared of the sacrifices I was going to have to make. I will say this…any sacrifices I HAVE made seemed huge at the time but don’t even compare to the way Jesus fills my life now. As you can tell, within the first section of the book my wheels started to turn and I began to really analyze my relationship with Jesus! Tomorrow I will be posting the 2nd video from the Not a Fan series. I hope you get a copy of this life changing book and follow along. This entry was posted in 2014 Blogger Challenge, Faith, Uncategorized and tagged 2014 Blogger Challenge, book review, Christian life, Jesus, life, Not a fan on January 29, 2014 by Monica.